Item # 302308 Stash Points: 799 (?) This is the number of points you get in The Zumiez Stash for purchasing this item. Stash points are redeemable for exclusive rewards only available to Zumiez Stash members. To redeem your points check out the rewards catalog on thestash.zumiez.com. 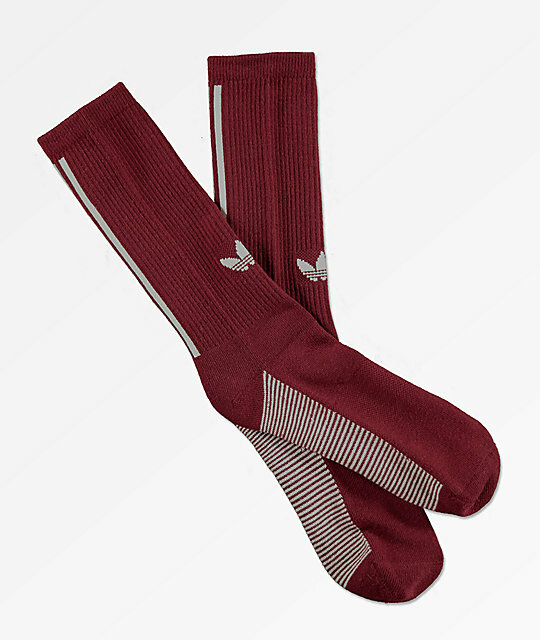 Outfit your feet in athletic fashion with the adidas Statement Burgundy Crew Socks. These all burgundy crew height socks feature jacquard knit stripes throughout the arch and classic adidas three strips detailing up the backs of both ankles. The front of each upper is finished with a Trefoil logo for a final touch of branded flair. 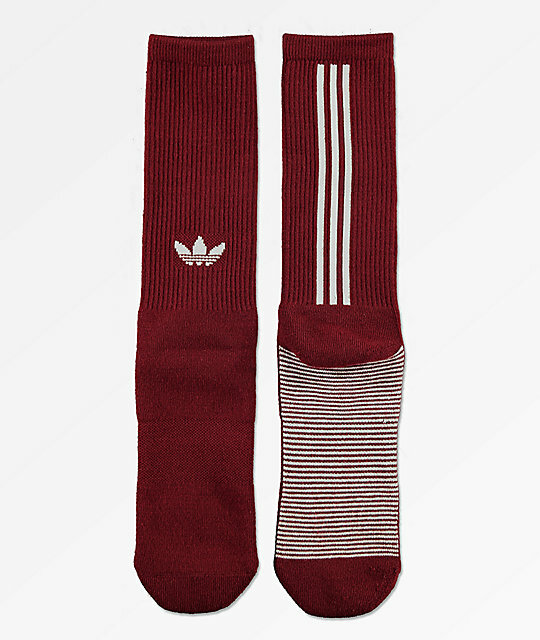 Statement Burgundy Crew Socks from adidas. Thin white stripes throughout arch. One size fits most (6 - 12 men's US).